Apart from architectural design considerations, your kitchen renovation project should also address practical issues, such as which types of stoves are most suitable given your kitchen setup. These options from kitchen and exterior remodeling expert DreamMaker Bath and Kitchen of Greater Grand Rapids help you choose the stove style that perfectly matches you and your home’s personality. Electric stoves are characterized by smooth, glass-ceramic cooking surfaces that make them a popular kitchen appliance choice for modern homes. While the sleek surface offers striking visuals, glass cooktops tend to get scratched easily. Invest in flat-bottomed cookware to reduce the possibility of encountering this issue. It’s also wise to use cleaning products specifically formulated for glass-ceramic cooktops. These types of cooktops utilize a magnetic field function similar to that of a microwave oven. You need to use magnetic cookware for this purpose. The induction cooktop is installed flush with your kitchen counter to provide a smooth and level cooking surface. Since induction stoves don’t give off any tangible heat, they are perfect for busy households with younger family members who might venture into the kitchen. This stove style goes best with dark countertops for a seamless and modern appeal. You may consult your kitchen remodeling contractor regarding the proper measurements and technical specifications for your induction stove installation. This particular stove style comes in both gas and electric models. Slide-in stoves work well with any traditional home interior due to their visible knob and dials, which offer a quaint appearance. They are relatively easy to install. Keep in mind that slide-in stoves are typically raised higher than your countertop cutout by 3/16 inch, so choose slide-in stoves if you don’t mind the slight height difference. Your kitchen interior, cooking habits and design preferences are all factors in picking the best stove style for your home. 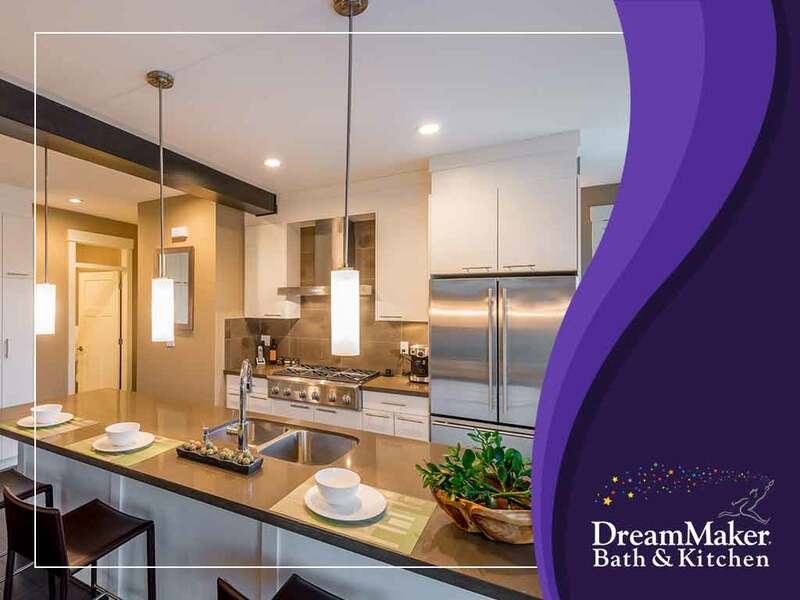 Make sure you hire a remodeling contractor that understands your needs, like our team at DreamMaker Bath and Kitchen of Greater Grand Rapids. We also offer bath remodeling services. You may call us at (616) 200-7495. We are a faith-based organization that aims to achieve excellence through integrity and client-centric customer service. We serve Rockford, MI.